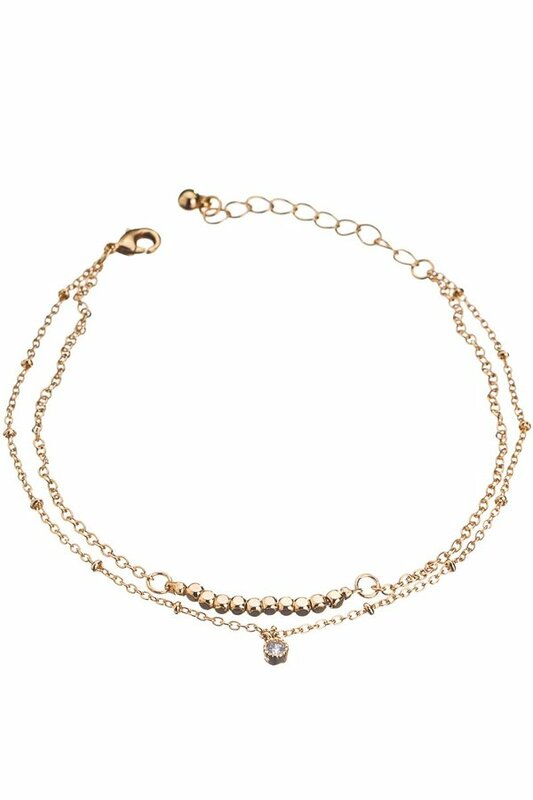 Description: Two layer anklet with CZ and nugget bead details. Approx. length 8" plus a 2" extender.